Switching from your old phone system to a cloud hosted one seems a rather risky step. However, moving to the cloud is not only trendy, but completely logical as well: you get complete control over your own phone system, which you can easily use with other devices (desk phones, computers, mobile devices), even if you are out of office. Voice and video are in HD and you can create unlimited extensions. You can send/receive faxes online and you have plenty of features and unlimited (inter)national calls for cost-friendly monthly prices. VoIP services are scalable, which means they grow with you – figuratively, as cloud phone systems don’t require any hardware to be placed in your office. Furthermore, you can switch to your new system and get rid of the extra, unnecessary cables without saying goodbye to your analog desk phones. Why a Cloud Hosted Phone System? Indeed: why a cloud-hosted phone system when the same tasks can be performed by on-premise or hybrid systems? Granted, an on-premise system means complete ownership of every single part of your phone system, the system is tailored to your specific needs and you only have to pay a larger installation fee once. However, said installation is brutally expensive, the servers take up a significant amount of office space, you have to maintain the system (additional costs) and you can say goodbye to flexibility. But the worst of all is that your system will become outdated within five years to a decade tops, so you have to replace it again – costing you another fortune. A hybrid system has more or less the same pros and cons, but it already provides some of the benefits of a cloud-based system, mostly the inclusion of VoIP devices. A cloud-hosted phone system gets rid of all cons of an on-place system. Installation is cheap as the system integrates with existing hardware via an adapter. Furthermore, calls run through the internet, therefore you don’t need to install new cables anymore. 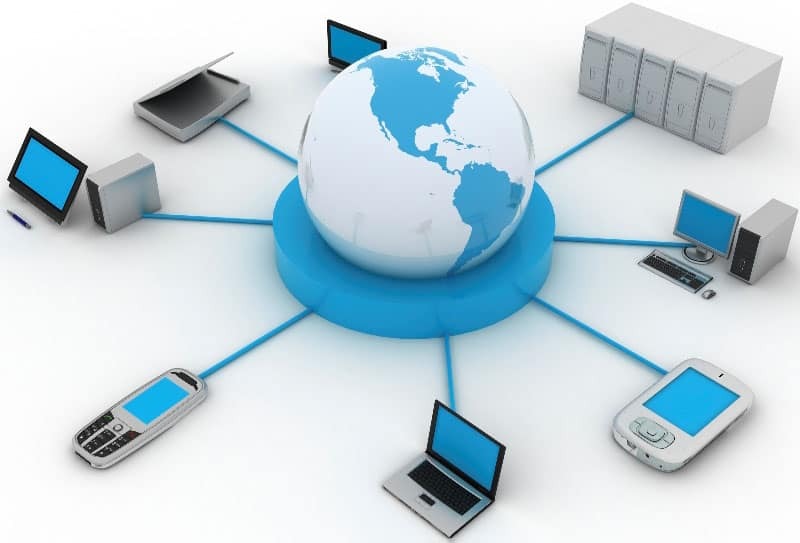 You can hook up every device to your network that can connect to the World Wide Web (mobile devices, softphones included), all data is stored in the cloud (so they are safe should your system be down), and you get continuous support and updates from your phone system provider. But the best thing of all is scalability: the bigger your enterprise grows, the bigger your cloud phone system grows with you. A virtual manifestation of a receptionist, this feature directs incoming calls to the right extension or, if you or the called colleague is out of office, to voicemail. By enabling call forwarding you can route calls to multiple devices, either ringing them simultaneously or sequentially, until you answer the call or the call is directed to voicemail. Usually available with devices that support this feature (with a physical button on said device) you can put a call on hold after you have answered it and allow for someone else to take over the conversation. A less advanced form of call parking, this feature circulates the call within your phone system’s network to anyone who is free to receive the call. No caller can hide his/her number from you, because it’s always displayed on your screen. 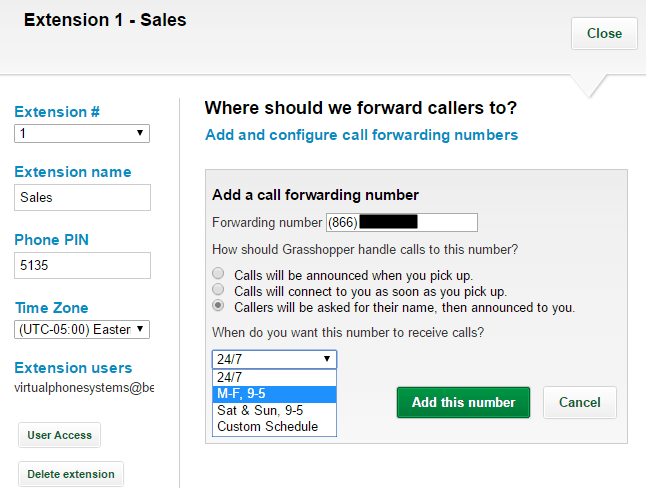 As for you, you can place outbound calls using the phone number associated to your phone system. By creating a separate extension, which can only be accessed by those who dial a specific access code, you are able to organize conference calls for up to 100 people. 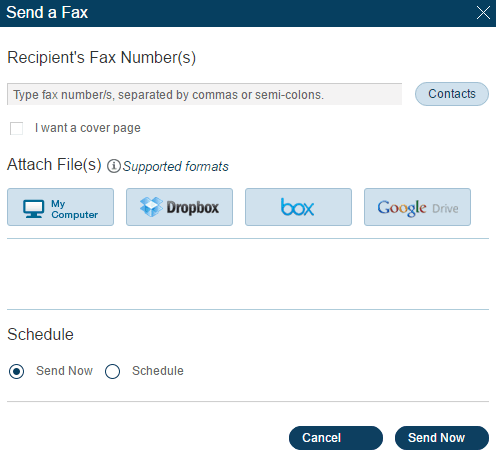 Your cloud phone system can entirely take up the role of a fax machine. This means that you can receive fax messages and turn them into emails, while more advanced systems are capable of sending faxes too. VoIP mobile apps have two purposes: the first one is to be a partial or full replacement of your online account. The second purpose is to be a softphone with which you can place calls like you were in the office. You can associate multiple phone lines with your network in order to completely eliminate busy phone lines. You can have virtually endless voicemail boxes and each time you receive a new voicemail message you get notified thereof by push notifications or emails. Furthermore, this is one of the many features you can access via mobile devices. The beauty of a cloud phone system is that it basically doesn’t require new equipment at all. And should you want to purchase new phone equipment, it can be easily hooked up to your system after very little configuration. If you mostly rely on good old analog desk phones, you will need an adapter that transforms the analog signals into internet data. 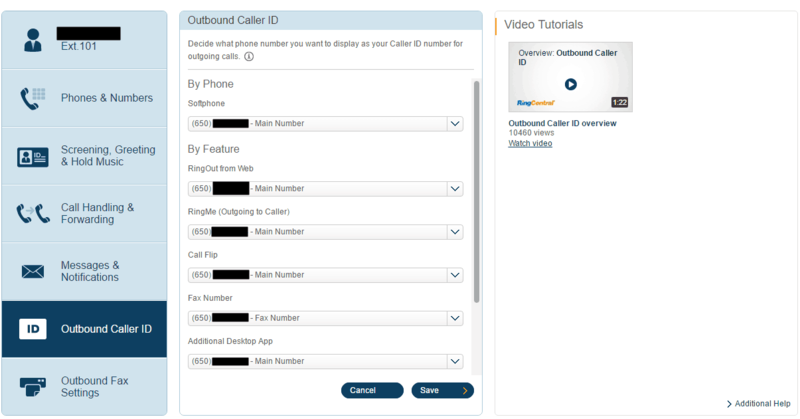 If you have VoIP phones that are already connected to your system via Ethernet cable, you only have to configure your phone in order to get it recognized by your new system. However, certain phones manufactured by Cisco, Polycom and Yealink are often auto-configured by the phone system provider itself. In fact, if you need an adapter with your analog phones, companies often offer Cisco’s solutions. 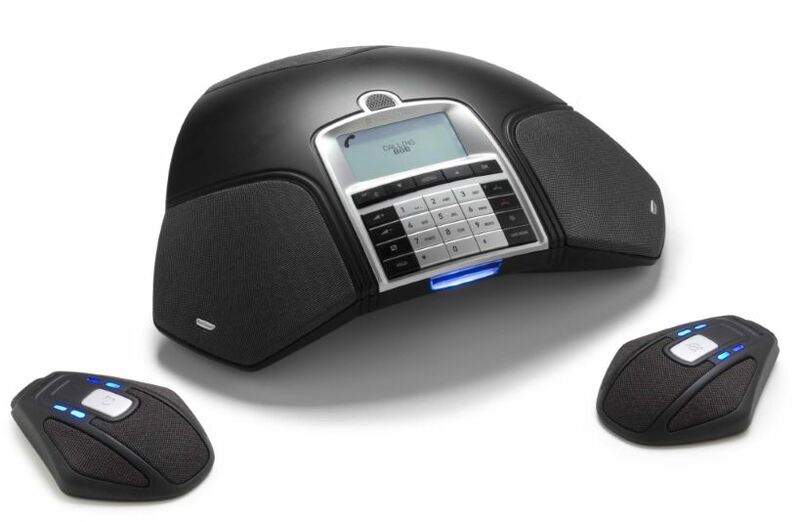 Like in the case of desk phones, routers can also be integrated into your VoIP system (mostly the products of bigger companies such as Linksys, Netgear, Cisco and TP-Link), but only after they are configured to handle all the phones connected to the device and after you prioritize voice traffic in the router’s settings. The same is also true if you want to create a network bridge: you have to configure all devices to establish a connection between all networks you use. Basically the same rules apply to conference phones as for desk phones. 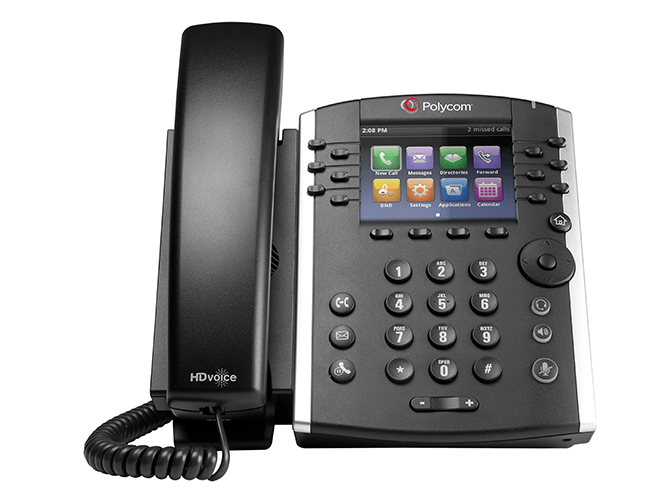 The only difference is that not all conference phone manufacturers support VoIP: Polycom, Cisco and Yealink are three known conference phone brands. 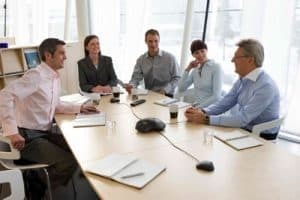 Even though there are plenty of VoIP companies offering quality services, enterprise-scale solutions are usually available with bigger companies like RingCentral, Nextiva (which also provides hardware under its name) and Jive. A longstanding top ranked VoIP provider with Best Reviews, RingCentral has all crucial features a business needs: call forwarding, screening and monitoring, an auto-attendant, countless answering rules and virtually unlimited extensions. However, this is just the beginning: there is hot desking, for instance, with which you can log in to your account and use the phone associated with another computer the same way you would do at your own workstation. You can display your current status with others (think Skype’s online status bar), share your phone line with other devices (so you can be reached anywhere within the office), and even send short notifications via intercom or even paging. RingCentral is also capable of instant messaging via Glip, and it boasts advanced conferencing for up to 1,000 attendees. Business texting is included in the pricing plans, as well as online faxing, handy mobile apps and integration with the most important business tools. The company offers 3 plans, the cheapest starting from $24.99 per month per user, while the top product is $44.99 per month per user should you go with the annual plan. If you want to continue using phone hardware, Nextiva is an optimal choice for you – especially as the company also offers enterprise cloud VoIP services. Nextiva provides unlimited HD calls to the U.S., Canada and Puerto Rico, unlimited online faxing, the option to port your existing number for free, line sharing – all of this combined with the power of advanced call management. With Nextiva you can start instant conference calls, and with the Zendesk and Skype integration you can also hold HD video conferences. 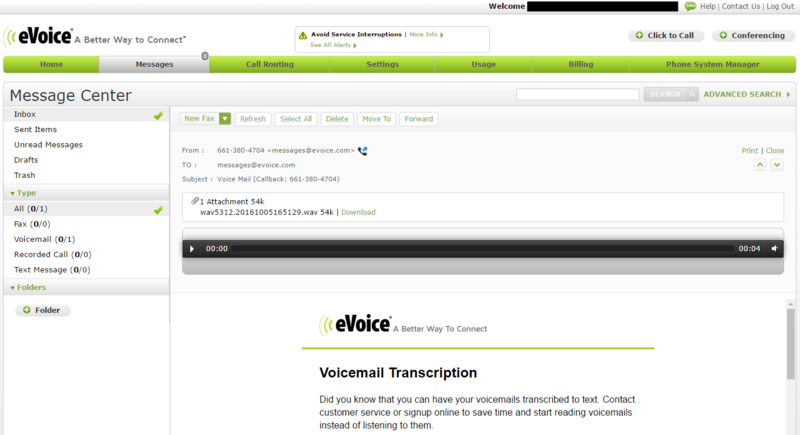 You can get your voicemail messages transcribed to readable format (albeit for an extra price), and you have the option to listen to conversations between your colleagues and customers to monitor business activities. 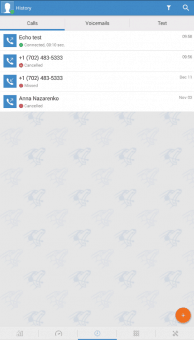 And there is also call recording and Nextiva Anywhere with which you can connect calls to any external phone number and place calls from those numbers using your business phone number. Nextiva offers 3 pricing plans starting from $19.95 per month for 1–100+ users and with monthly or 36-month subscriptions. It’s not just the name that stands out at Jive, but also its impressive list of advanced features you expect to be included in an enterprise-grade cloud phone system. Aside from the crucial functions you can create ring groups (so only certain colleagues’ phones would ring), monitor the activity of your co-workers in 3 different ways (whispering and spying), blacklist unwanted phone numbers from calling and turn on the follow me feature. 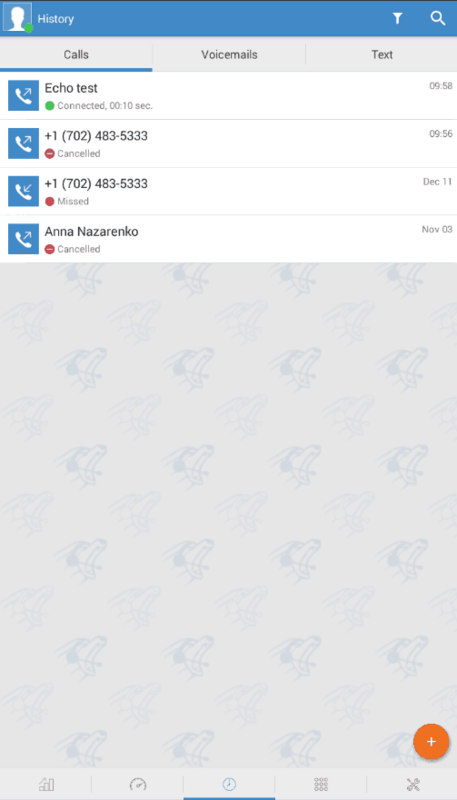 With Jive you can have unlimited extensions, auto-attendants and voicemail boxes, integration with Google Chrome and Microsoft Outlook, conferencing with up to 10 participants, an iPhone/Android app, and a completely visualized dial plan editor. Unlike its competitors, Jive doesn’t have fixed prices. Although you have to ask for a custom quote, the lowest plans start from $19.95 per month per user.